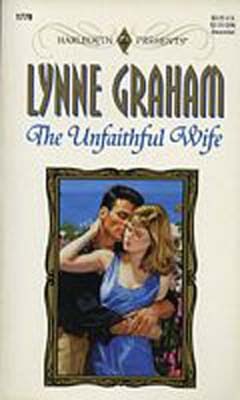 Lynne’s Graham older romances contributed a lot towards me becoming the avid romance book reader that I am today. Likewise, this book published more than a decade back has the element that is missing from most of the Harlequin novels that are published today, even by my most favorite authors such as Ms. Graham. Thus it was a rare treat to read this romance by Ms. Graham which I didn’t want to put down once I started. Leah and Nik have been married for five years during which they have lived apart from one another. Leah doesn’t know the reason why Nik acts so coldly towards her once they are married. Nik has his own group of beautiful women with whom he spends his nights with and this propels Leah finally towards forming a relationship of her own, fed up with a life of utter loneliness and unhappiness. The death of Leah’s father brings about the actual truth as to why Nik has been treating Leah so abhorrently. And it is this pivotal moment that brings these two together, Nik with his tendency to be distrustful of love and companionship that goes along with it and Leah afraid to hope for anything permanent with Nik with whom she fell in love with on the very first sight. Filled with highly sensual moments which is trademark Graham, this novel stands to be the reason why I always look forward to reading a novel by the author, no matter how disappointing her recent novels have turned out to be. i must salute you for your work. we rarely find this kind of writings/blogs in maldives.